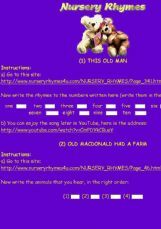 Some info about the rapper Flo Rida + the song I cry (video and lyrics). Walking in Memphis with " the King"
Nursery Rhymes: similar sounds, different spelling. Young ESL learners can enjoy this activity by learning rhymes. They will also learn that not always a word is written with the same vowels and combination of letters (homophones). The song is just too beautiful to miss. 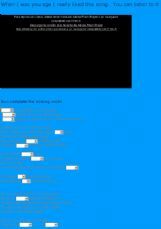 There are some follow-up vocabulary and comprehension tasks with Sande�s biography and explanation for the song. I hope your students enjoy it. 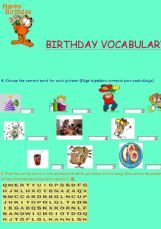 Very simple exercise to revise birthday vocabulary basic numbers. Enjoy it!